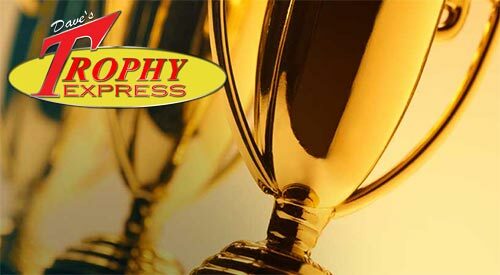 Dave’s Trophy Express is a full service engraving and awards shop with on site engraving and sign making equipment. In stock is a large selection of trophies, plaques and medallions to accomodate any event. We also provide indoor/outdoor signs, vehicle graphics, lettering for shirts, rubber stamps, lapel pins, cast bronze plaques, ribbons and a wide selection of presentation gifts.